CLOSEOUTS. 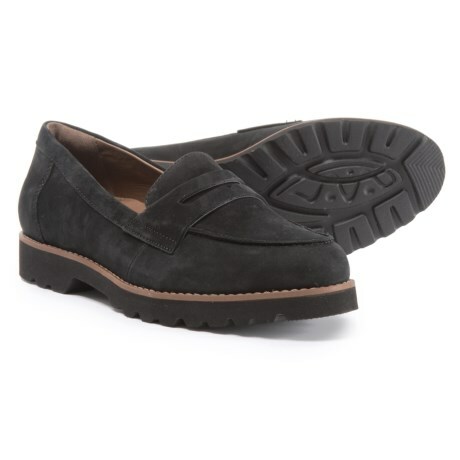 The classic penny loafer gets a modern twist in Earthies Braga loafers with soft nubuck construction and a lugged, flexible outsole. Available Colors: BLACK NUBUCK, BLACK LEATHER. Sizes: 5.5, 6, 6.5, 7, 7.5, 8, 8.5, 9, 9.5, 10.